^ a b c d e “Frederick Delius”. The Manchester Guardian: p. 6. (11 June 1934). ^ White, Michael (11 February 2007). “So Mighty, So Unmusical: How Britannia Found Its Voice”. The New York Times. http://www.nytimes.com/2007/02/11/arts/music/11whit.html?_r=1&oref=slogin 2011年1月21日閲覧。. ^ “Music, Royal Opera, Covent Garden, 'The Village Romeo And Juliet'”. The Times: p. 13. (23 February 1910). ^ Cardus, Neville (25 January 1962). “Frederick Delius”. The Guardian: p. 8. ^ “The Published Writings of Philip Heseltine on Delius”. The Delius Society Journal (94). (Autumn 1987). http://www.delius.org.uk/images/journals/pdfs/journal94t.pdf. ^ a b “The Delius Festival: A retrospect”. The Times: p. 10. (2 November 1929). ^ “The Delius Festival: First Concert at Queen's Hall”. The Times: p. 16. (14 October 1929). ^ Palmer, Christopher (1969). “Delius, Vaughan Williams and Debussy”. Music and Letters: pp. 475–80. http://ml.oxfordjournals.org/content/L/4/475.full.pdf. ^ a b c d Cardus, Neville (25 January 1962). “Frederick Delius”. The Guardian: p. 8. ^ Mendl, R.W.S. (July 1932). “The Art of the Symphonic Poem”. The Musical Quarterly 18 (3): pp. 443–62. http://mq.oxfordjournals.org/content/XVIII/3/443.full.pdf+html. ^ Newman, Ernest (16 March 1930). “His Country At Last Acclaims Delius”. The New York Times Quarterly: p. SM7. ^ “New Songs”. The Times: p. 13. (9 August 1899). ^ “Concerts of the Week”. The Observer: p. 6. (25 January 1914). ^ Langford, Samuel (3 October 1917). “The Beecham Promenade Concerts”. The Manchester Guardian: p. 3. ^ “Philharmonic Concert: Percy Grainger, soloist, plays Delius's Piano Concerto”. The New York Times. (27 November 1915). http://query.nytimes.com/mem/archive-free/pdf?res=F60F1EF6395D16738DDDAE0A94D9415B858DF1D3. ^ Cooper, Martin (7 April 1962). “Question Mark Over Delius Lovers”. The Daily Telegraph. ^ Kettle, Martin (9 July 2004). “Three-act tragedy”. The Guardian. http://www.guardian.co.uk/music/2004/jul/09/classicalmusicandopera.proms2004 2011年1月30日閲覧。. ^ A Village Romeo and Juliet (theatre programme). Opera North. (6 June 1984). ^ Darrell, R.D. The Gramophone Shop Encyclopedia of Recorded Music, The Gramophone Shop, New York 1936. ^ “Delius. A Village Romeo and Juliet — complete”. The Gramophone: p. 97. (February 1973). http://www.gramophone.net/Issue/Page/February%201973/97/786201/. ^ “Delius. A Village Romeo And Juliet”. Gramophone: p. 134. (December 1990). http://www.gramophone.net/Issue/Page/December%201990/134/735521/. ^ “Delius: A Village Romeo and Juliet”. Gramophone: 135. (October 1995). http://www.gramophone.net/Issue/Page/October%201995/135/806501/. ^ “Delius: Fennimore and Gerda”. Gramophone: 106. (September 1997). http://www.gramophone.net/Issue/Page/September%201997/106/816389/. ^ “Delius: Fennimore and Gerda”. Gramophone: 114. (December 1997). http://www.gramophone.net/Issue/Page/December%201997/114/746201/. Beecham, Thomas (1944). A Mingled Chime—Leaves from an Autobiography. London: Hutchinson. OCLC 592569600. Beecham, Thomas (1975) [First published by Hutchinson & Co. in 1959]. 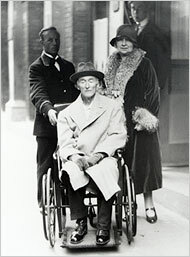 Frederick Delius. Sutton, Surrey: Severn House. ISBN 0-7278-0099-X. Cardus, Neville (1947). Autobiography. London: Collins. OCLC 459080138. Fenby, Eric (1971). The Great Composers: Delius. London: Faber and Faber. ISBN 0571092969. Fenby, Eric (1981) [1936, Originally published by G Bell & Sons]. Delius As I Knew Him. London: Faber and Faber. ISBN 0-571-11836-4. March, Ivan (ed.) (1993). The Penguin Guide to Opera on Compact Discs. London: Penguin Books. ISBN 0-14-046957-5. Palmer, Christopher (1976). Delius: Portrait of a Cosmopolitan. London: Duckworth. ISBN 0-7156-0773-1. Redwood, Christopher (1976). A Delius Companion: A 70th birthday tribute to Eric Fenby. John Calder. ISBN 0-7145-3826-4. Reid, Charles (1961). Thomas Beecham – An Independent Biography. London: Victor Gollancz. OCLC 52025268.